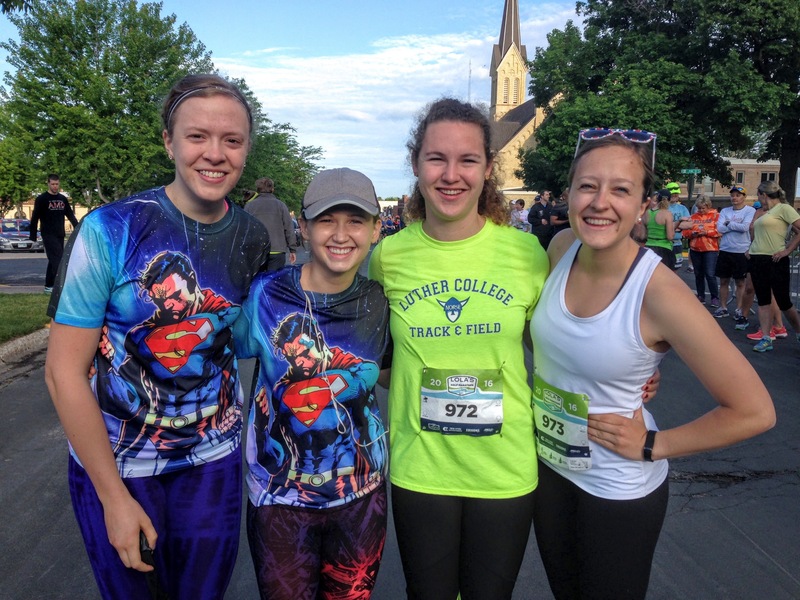 On Saturday, I had the privilege of running my second half marathon with some dear friends in Waconia, Minnesota. It was an absolutely perfect day to run! My first Half Marathon a few years ago, I didn’t do too great a job of training, and I finished in 2:08:49. My goal this time around was to train more consistently, and run a sub 2 hour Half. Which I did! My end time was 1:59:32! Friday night at 11 pm you can find me stepping in place trying to make my FitBit light up signaling I’ve met my step goal for the day, all while holding my phone staring at my FitBit App and the number of steps to see if I’ve beat a friend at the Workweek Hustle to see who could get the most steps this week. I laugh because this is such an accurate picture of life some weeks. My FitBit has become my favorite accessory, keeping me accountable for my physical activity each day to keep me healthy. Even the healthy competition between friends has become a daily part of my routine. Maybe you or someone around you has jumped on this trend to keep your steps up whether that be tracked on a FitBit or similar device. It’s as if a new movement has started. Walking has become cool again. Bliss. A word I feel we don’t often use. So often we are bogged down with “what life is supposed to look like” or what we think it’s supposed to look like, that we forget to look for our own bliss in the world. And shouldn’t we all find something that brings us bliss or joy?? As I was thinking back on this assignment, I realized I find bliss in many things, even if I don’t always stop to acknowledge that.